The duplex boasts a total of 7,400 square feet of living space. Open dining, kitchen and living spaces are ideal for families or get togethers. A fully stocked kitchen with new appliances means this house is move-in ready. A fully enclosed garage with electric doors easily fits large trucks and vehicles. Each side of the duplex has a master bedroom with full master bathroom. 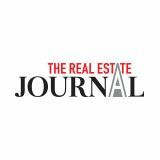 The Real Estate Journal — April 15, 2019. Entire contents copyrighted 2018 by Glimpses of Guam Inc. 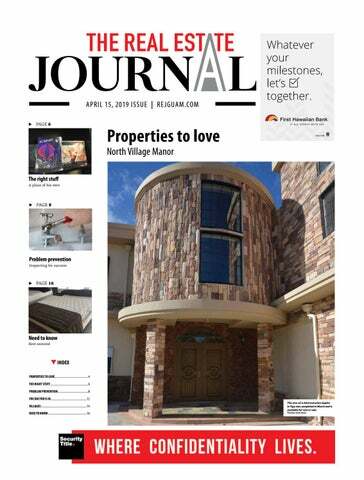 The Real Estate Journal is published monthly by Glimpses of Guam Inc. 161 US Army Juan C. Fejeran St., Barrigada Heights, Guam 96913. (671) 649-0883; Fax (671) 649-8883. POSTMASTER: Send address changes to Marianas Business Journal, P.O. Box 3191, Hagåtña, Guam 96932. Send e-mail to glimpses@glimpsesofaguam.com. All rights reserved. Subscriptions: 6 months $60; 1 year $120. Payment must accompany order. No material may be printed in part or in whole without written permission from the publisher. Printed by Guam Daily Post LLC, on Guam. In the Northern Mariana Islands, contact Marianas Business Journal at Glimpses of Saipan Inc., 2nd Floor Transpac Business Center, Middle Road, Gualo Rai, Saipan, MP 96950, or call (670) 235-7645; Fax (670) 234-1801. Send e-mail to subscriptions@glimpsesofguam.com. Glimpses Media includes Guam Business Magazine, Marianas Business Journal, MBJ Life, The Real Estate Journal, Beach Road Magazine, Buenas, Drive Guam Magazine and Pocket Deals. Glimpses of Guam Inc. Mission Statement: To connect people with information. WE CAN HELP YOU BUY, SELL OR RENT!